Welcome to the third Italian day for the Internasjonal kulturkafé. Saturday 23rd of September it's our turn! 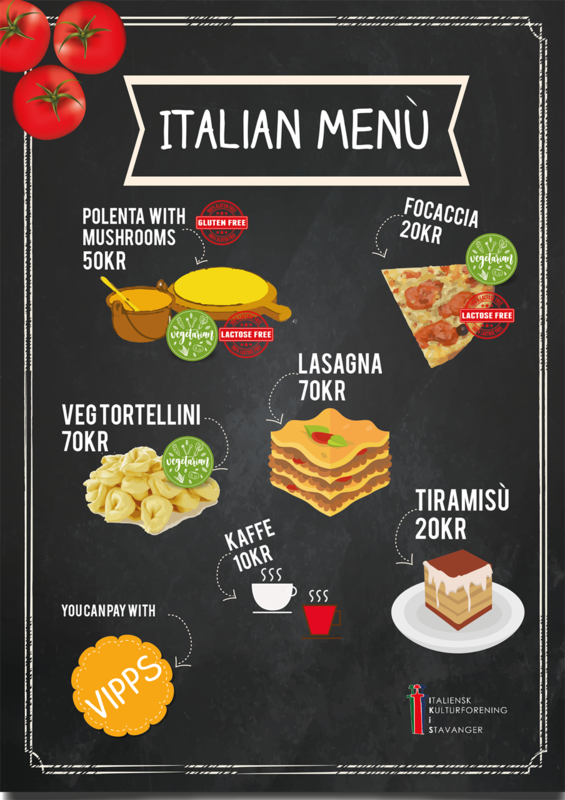 Take a look at our italian menù and we hope to see you there, and bring your friends. During the event Salvatore Curto will entertain us with some nice music.